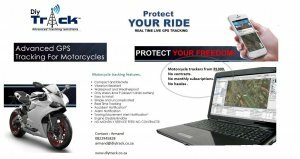 Track your motorycle from your laptop, tablet or smartphone. Use the online tracking platform to access features such as remote engine disable/enable function and sms security alerts. From R1300. No monthly subscriptions.